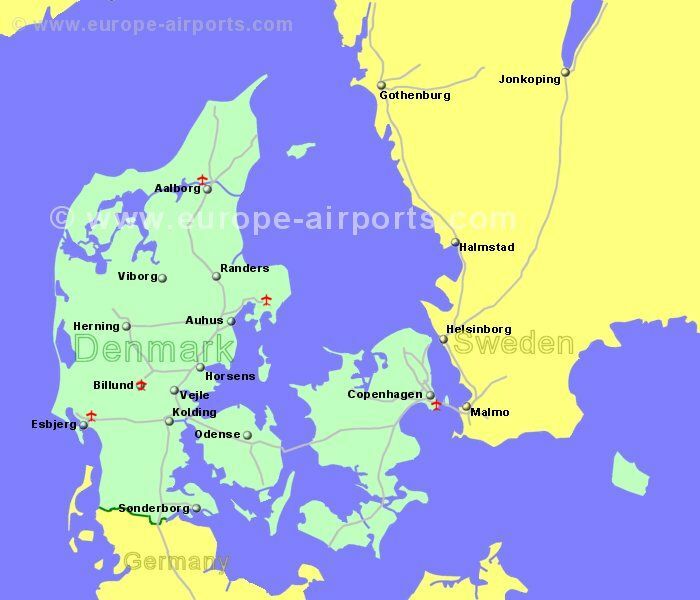 Denmark is the smallest and most southern of the Scandinavian countries (considered to be Scandinavian country although it is not on the Scandinavian peninsula), with Copenhagen and Legoland being the most visited places of this land of the Vikings. The country of Denmark consists of the mainland or Jutland peninsula and over 400 islands (approximately 70 of which are inhabited), mostly to the east, in the Baltic sea, and mostly connected by bridges. The island of Zealand in the east (the location of the capital city, Copenhagen) being connected to Sweden via the �resund Bridge. In this relatively flat landscape (maximum only 170m above sea level), you are never more than 52km from the sea, such is the nature of the coastline and the number of islands. Denmark is a member of the European Union, the currency is the Danish krone (DKK). Denmark is a Schengen country. Located 40Km North East of Aarhus in Est Jutland. An area of rolling fertile countryside, picturesque towns, forests and beaches. Located 8Km South of the capital city Copenhagen. The royal city of Copenhagen is one of the oldest cities in Europe yet is young at heart. Located 8 Km north east of Esbjerg in West Jutland.